The Asian Small-clawed Otter is the smallest otter in the world. When fully grown, these otters measure approximately 0.9m from nose to tail tip and weigh up to 5kg, compared to a Giant Otter which can reach lengths of up to 1.7 meters. Asian Small-clawed Otters are also differentiated from other Otters by their partially-webbed limbs and nimble fingers. Unlike most other Otters, they use their forepaws to locate and capture prey instead of their mouths. They are excellent hunters, gliding along the surface of the water, with their head beneath the surface as they scan for tasty crustaceans. Once spotted, they dive down and catch their prey with their front paws, returning to land to feed. Throughout Asia, the Otter’s habitat is being taken over by agriculture such as rice fields. Even in rice fields, the Otters still forage for food and their persistence in finding it leads to farmers perceiving them as pests. 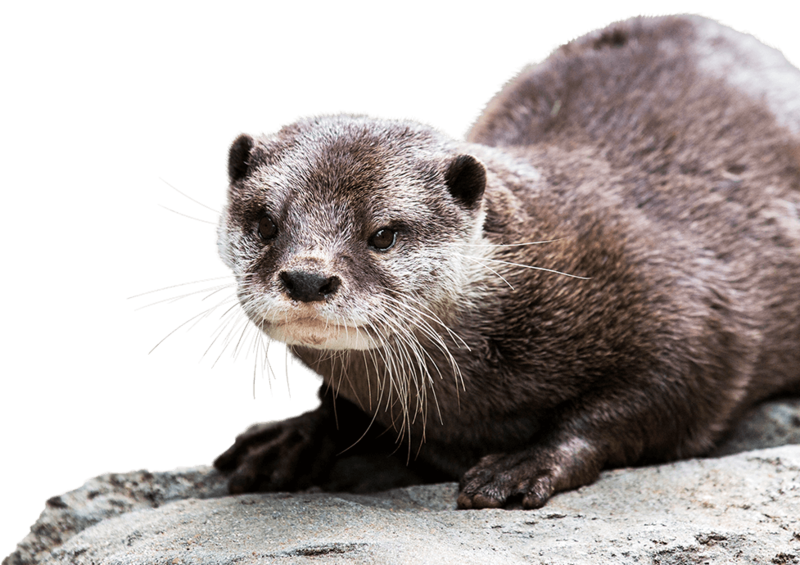 Due to this ongoing habitat loss and pollution, the Asian small-clawed Otter is now listed as vulnerable to extinction. The National Zoo & aquarium is home to 3 Otters – Boo and her 2 pups, brother and sister Bal and Bel. Copyright © 2019 National Zoo & Aquarium. All Rights Reserved.